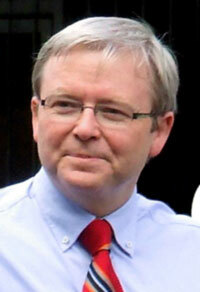 Today, 13 February 2008, the Prime Minister of Australia, Kevin Rudd, on behalf of the nation’s federal government, will issue a formal apology to Australia’s aboriginal people. We have obtained the 8-page draft copy of the text that is supposed to be tabled in parliament on 12 February. It is this text that the remainder of this article refers to. The main focus of the apology was on what has been called ‘the stolen generation’. For readers outside of Australia, to whom the term may not mean much, it refers to the notion that a ‘generation’ of Aboriginal children were supposed to have been removed forcibly from their parents to be raised in foster homes and institutions due to misguided notions of white superiority. Conservative columnist Andrew Bolt claims that the leaders of Aboriginal movements in Australia who purport to represent this ‘stolen generation’ were not subjected to this sort of injustice at all, and calls the whole notion a ‘myth’. In the sense that an entire generation is supposed to have had this happen to them, he is probably right—in many instances, including many of the ‘stolen generation’ spokespeople, the children were removed from abusive circumstances, just as has happened for many ‘white’ families in history. Others were voluntarily given away, or there was racism from Aboriginal people, too. And the issue has indeed been massively ‘hyped’. 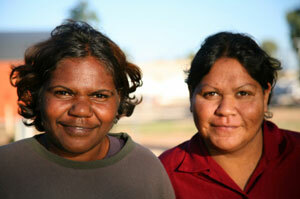 In fact, this has been, to an extent, to the detriment of the Aboriginal people. Because knowing that there are so many misleading exaggerations around gives the bulk of comfortable Australians a reason to ignore the ongoing injustices and imbalances that persist in remote Aboriginal communities—as the experience of my own daughter as a medico in such a community helped clarify for me. The reality is, as always, complicated, and lies somewhere between the extremes of denying that there was any racist removal, or implying that a wholesale policy of forced removal by ‘evil whites’ is responsible for the dysfunction and abuse endemic in indigenous communities. 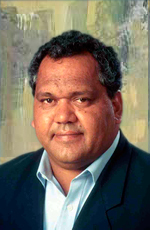 A voice of reason and moderation in the whole indigenous debate in Australia has been that of Aboriginal leader Noel Pearson, respected by the left and the right. He was the first prominent Aboriginal who, without denying that atrocities and injustices took place in history, urged his people to cease wrapping themselves in the mantle of victimhood. He indicated that true progress for his people would not take place until they began to take responsibility for their own plight—particularly the role of alcohol, and what Pearson has called the ‘poison’ of welfare payments substituting for the right and responsibility to work. Our purpose here in commenting on this ‘Sorry’ statement is not to try to determine where exactly the balance lies in all of this—whether forcible removal for no good reason happened to the 13,000 children to which the PM’s draft apology statement refers, or to 1300, or whatever. Rather, it is to show that the statement highlights the undeniable fact that where there were such forced family breakups on racial grounds, rather than for such reasons as child welfare, a major motivating factor was Darwinian evolution.2 And it helps us point out that the evils of racism make a lot of sense when one considers how this ‘false history’ of mankind became a substitute for the Bible’s true history. In other words, according to the Bible, we are all, as descendants of Adam, made in God’s image. No one group is more or less human, or ‘highly evolved’, as has also been confirmed by the march of scientific and genetic knowledge, overcoming the constraints of the Darwinian blinkers. The logical corollary of Darwinism, which taught that humans evolved their differences during tens of thousands of years of separation, was that some must be more ‘highly evolved’ than others. This is because naturalistic evolution has no fixed ‘speed’ or ‘direction’. This ‘social Darwinism’ (as expounded by Darwin himself, especially in The Descent of Man) caused people to conclude that it was compassionate to cushion the dying of this race of people. They were regarded as doomed to die out from competition with their more highly evolved competitors, as the statement indicates. But it also meant that when a child had some European genes, some admixture of ‘white blood’, it was more likely to benefit from being removed from its ‘more primitive’ ‘full blood’ Aboriginal social surroundings. (See Darwin’s Body Snatchers, which inter alia, quoted from a secular source, cites a WA bureaucrat as writing on this very subject: ‘I would not hesitate for one moment to separate a half-caste from an Aboriginal mother, no matter how frantic her momentary grief’. Unfortunately, the draft apology also made reference to ‘over 50,000 years of Aboriginal wisdom and knowledge that has never been properly acknowledged or understood by Australian governments.’ It was another Australian Prime Minister, John Gorton, whose offhand comment some years ago, on this very same age question, highlighted the inherent racism in such an evolution-inspired statement. Gorton wondered why, since they had been here all that time (as he believed), Aboriginal society had not developed even a fraction of the technology and ‘know-how’ of the West. A biblical framework of history, where Australia’s indigenous population arrived here a relatively short time ago, having lost some ‘know-how’3 due to the dispersion at Babel and the resulting migration/dispersal, makes more sense of the facts while at the same time intrinsically assigning greater dignity to indigenous peoples. Today’s Darwinists try to dissociate themselves from the racism of Darwin and his contemporaries, as if it were some sort of aberration. And they point out how Christians have also on occasion been involved in racist acts, atrocities, etc. But where Christians have been involved in such things, it is in spite of their professed faith. And it is inconsistent with the principles, the equal humanity of all, directly deducible from Genesis history and restated as such in the New Testament. Whereas the eugenic/racist viewpoint is not only consistent with a Darwinian history of man, it is its logical corollary. So where modern Darwinists shy away from racist views, it is in spite of their Darwinism, not because of it. Can we expect our society to retain notions about humanity that are consistent with one worldview (the Bible) while at the same time saturating it with a worldview that undermines that same worldview? For the Christian, standing on Genesis history is about more than even the vital foundational doctrines of the Cross—the entry of sin and death and their final removal. It also happens to powerfully affect the way people see—and therefore treat—each other. We are supposed to pray for our leaders, regardless of our or their political persuasion. We can be grateful that the draft apology at least recognized the role that Darwin had to play in causing much suffering. Let’s pray that somehow, the Australian Prime Minister and other influential world leaders come to realize that there is a great deal of suffering and misery and other evil (including the deaths of countless unborn children) still being facilitated by the evolutionary worldview—one that government schools in particular are fostering, while censoring access to evidence that supports the true history in the Word of God. It also announced the formation of a billion dollar fund to create ‘enabling’ organizations to empower aboriginal community leadership. It will be interesting to see whether the document’s noble aims of keeping this out of the hands of government bureaucrats will succeed. Return to text. One recent commentary (by Richard Glover) on this aspect of Australia’s history put it very clearly: ‘Later, at university, I became fascinated with this conflict. In particular, how Darwinism and evolutionary theory had been used by the Europeans to excuse their dispossession of Aboriginal Australians. The logic went this way: under evolutionary theory, the stronger race would inevitably dominate the weaker. Aboriginal Australians were a transitional form, somewhere between ape and European, and would thus automatically "fade away".’ Glover, R., How we came to the present, with all its problems, The Sydney Morning Herald, 9 February 2008. Return to text. This includes understanding how Tasmania’s indigenous people lost know-how they once had—to catch fish, sew clothes, etc. See Culture Clash. Return to text.